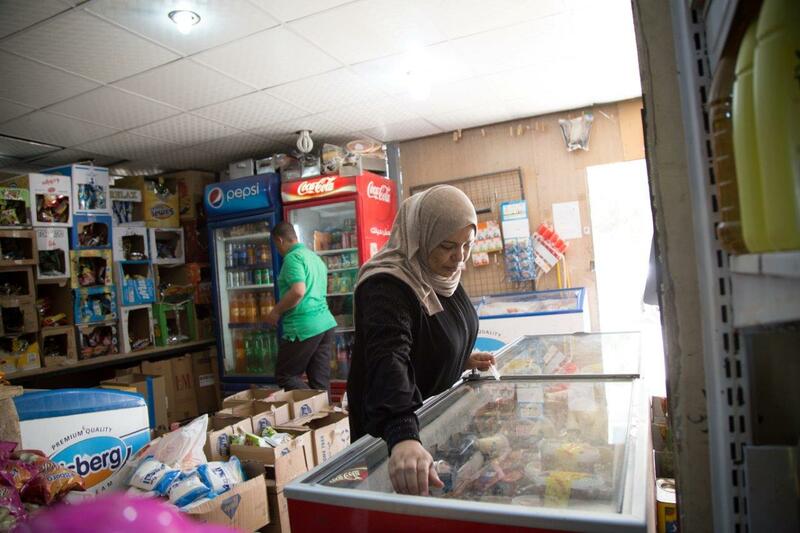 Nisreen Al Kaabneh, a microfinance client since 2010, is the 37-year-old woman behind the success of “Nayef Supermarket” in the town of Deir Alla. 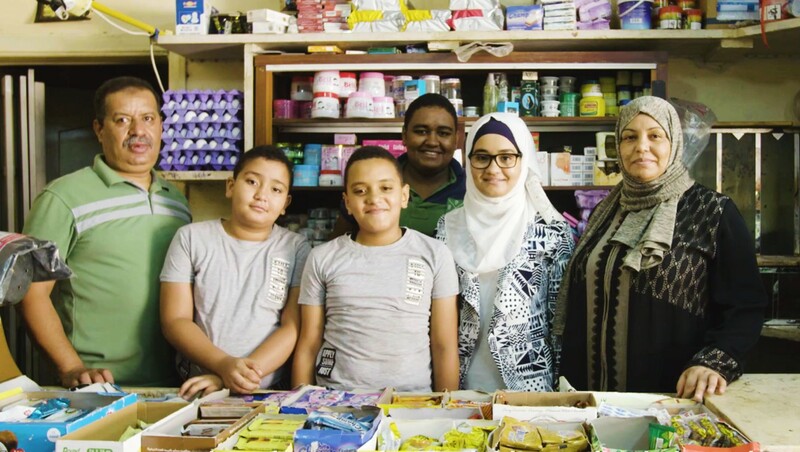 Where around 27.1% of the 70,000 residents of Deir Alla live below the poverty line*, Nisreen’s success is a testimony to the relevance of Microfinance for empowering people by improving their job and life prospects. The support of the EU, the BMZ, and the GIZ assures a continuously stable and well-functioning microfinance sector for even more people from towns like hers. Nisreen was born and raised in the Baqaa Refugee Camp where she worked in her family’s supermarket since the age of 8. “My father opened up a supermarket and died 2 years later. After that, as the eldest daughter, my mother depended on my help to run it.” Nisreen helped out every day until she was 18 years old, and saved 5000 JDs. Before leaving her family home when she got married to Nayef, she gave her mother the money she had saved to rebuild the family home. Nisreen and Nayef settled in the village of Jifna in the West Bank after their marriage, but due to the political situation, they soon had to move back to Jordan. The couple decided to settle in Deir Alla and took over the shop of an uncle. 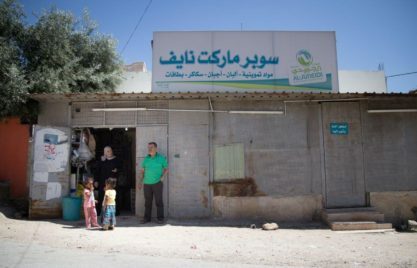 “We bought merchandise for 600 JDs and opened up a little store.” Then in 2010, Raed, a credit officer of a large microfinance institution, who was also one of Nisreen’s customers, offered her a loan of 1,200 JDs. At first she declined because she felt it was not enough money, but then Raed explained that if she starts with this amount and pays it back on time, she will be able to increase the amount the following year. Encouraged by this promise, Nisreen decided to take the loan. In 2011, Nisreen took out a loan of 3,000 JD, followed by 6,000 JD in 2012. That year, the couple decided to build a home and move their supermarket’s location as an extension to their house. “The 6,000 JD loan made a big difference. We were able to buy more merchandise and double our income. We were also able to buy new appliances for our house and put our children in better schools”, says Nisreen. As her family’s life improved, Nisreen continued to take out loans and was able to extend the loan up to 20,000 JD in 2016. “When I take a loan, the first thing I do is buy all the merchandise I need, investing all the money in products I will sell in the supermarket. I don’t keep the cash on me because then I will spend it! It is much better to buy stock and keep them in storage. 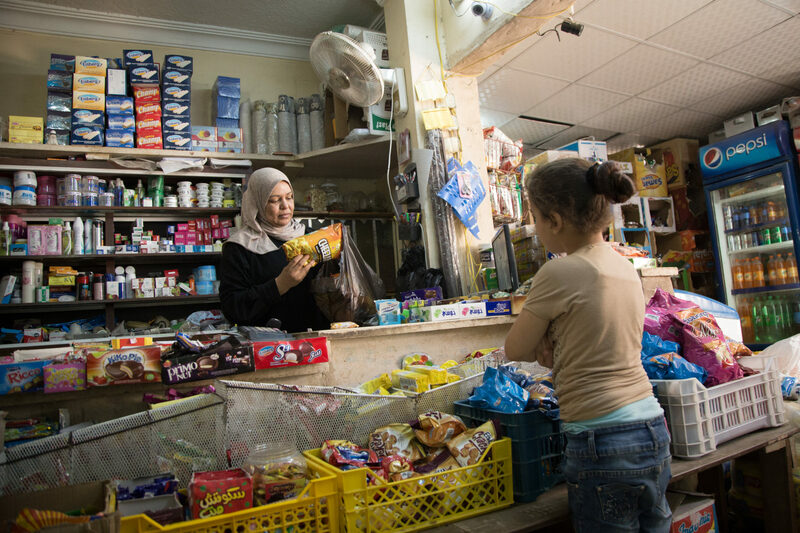 That way, I can profit from selling the products and that’s how I ensure my family’s income.” In 2018, Nisreen will be up for a 35,000 JD loan and plans to expand their supermarket.